Now updated, including full-color illustrations, The L.L. 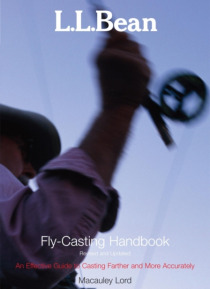 Bean Fly-Casting Handbook is a must-have for all beginning and intermediate fly casters. Based on the winning methods of the L.L. Bean Fly-Fishing Schools, sections include: The Eleven Habits of Highly Effective Casters, The Basic Four-Part Cast, The Essential Roll Cast, Getting More Distance, Casting into the Wind, Double Hauling, and more… . Anglers will find this accessible guide helpful to becoming a more accomplished fly caster.